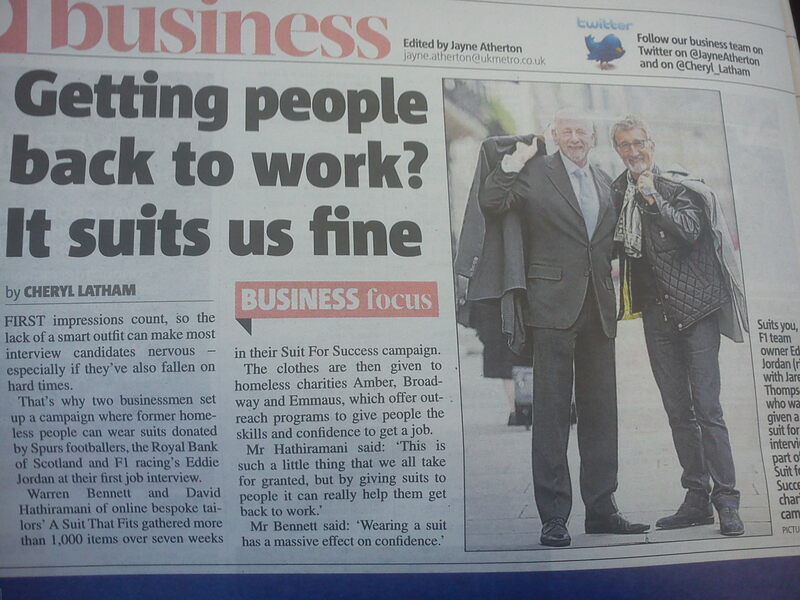 After award winning start-up and bespoke tailoring company A Suit That Fits launched their first national campaign A Suit for Success, in conjunction with The Nurture Network there was an resounding response – with over 1000 donations being made to help our three homelessness charities over the 7 week period. So pleased were we with the results, we let our journalist friends know and today we had a little piece in the Metro (see image) which is a real testament to the results. To hear more about the campaign read our previous article about the launch here.